Z-Man incorporated a 17-7 stainless steel wire that has a very thin diameter. 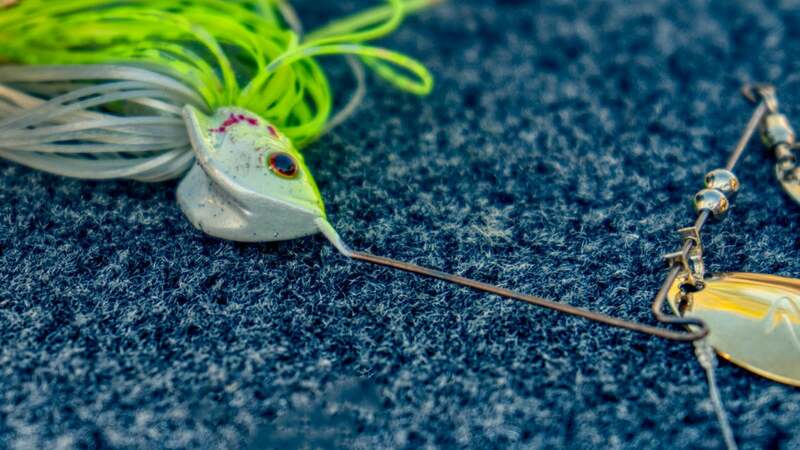 You want a thin wire to give a spinnerbait more thump and vibration. 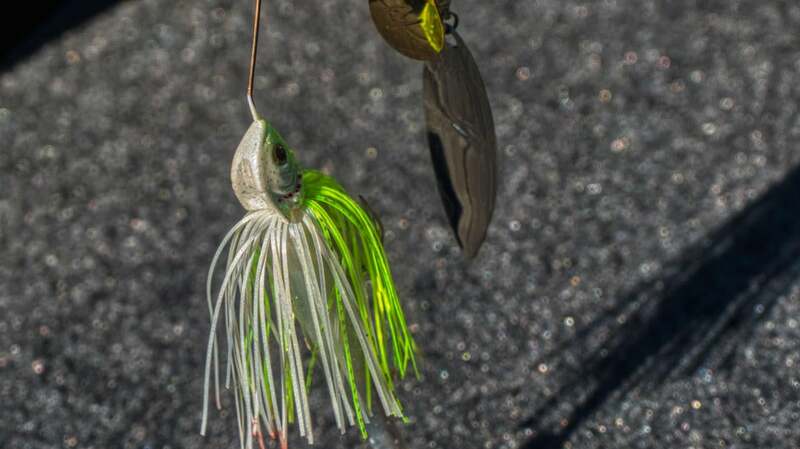 But you can't have such a light wire that the spinnerbait mangles everytime it hits something or when you rear back and really sling it. 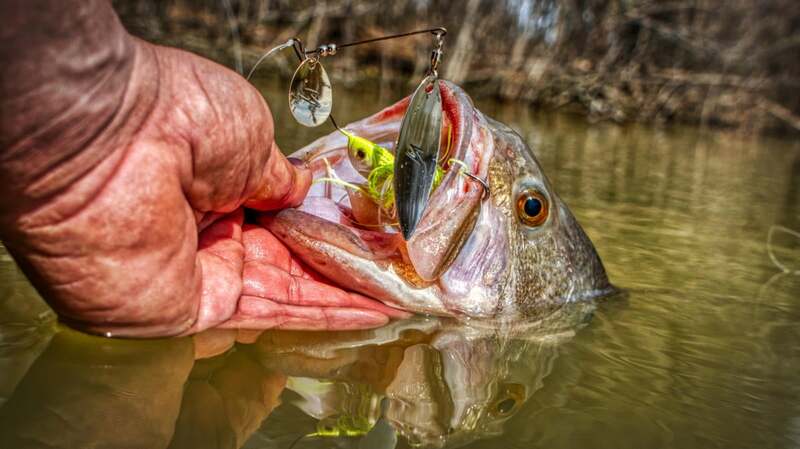 Some spinnerbaits with too light a wire will actually open up so much that your knot can slip out of the r-bend. 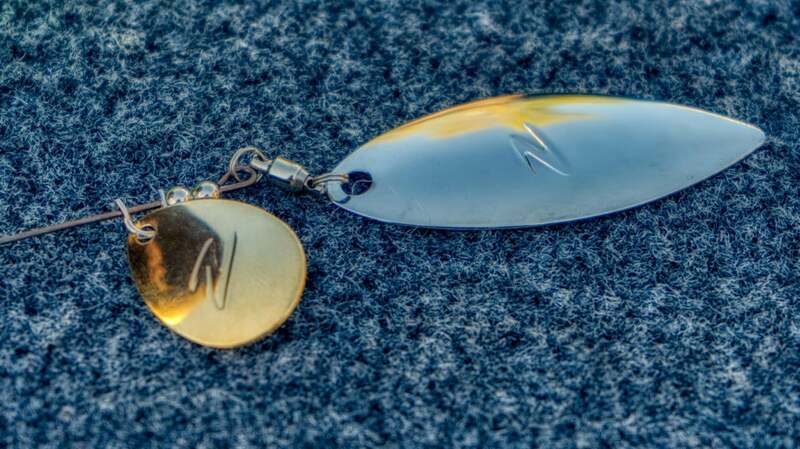 Z-Man used custom electroplated blade with a jeweler finish to give their SlingBladeZ spinnerbait maximum flash. I think the blades will last a long time. They are quality from what I can tell with very good swivels and clasps. 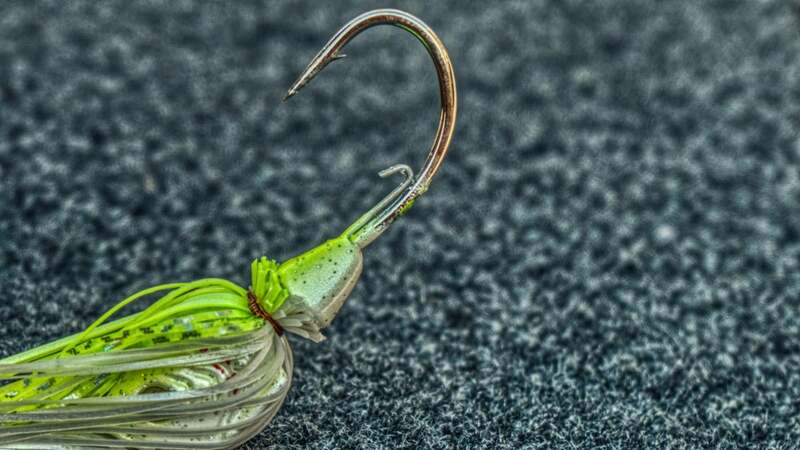 They didn't cut any corners on the spinnerbait. 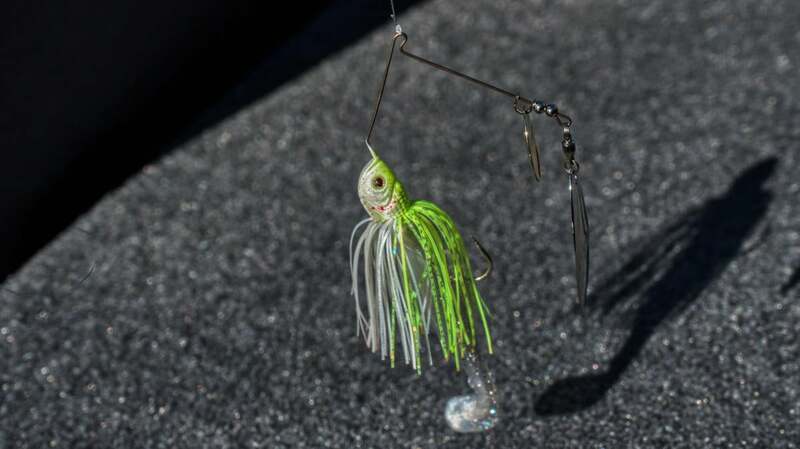 They have a good hook keeper to hold their Elaztech baits as well as traditional spinnerbait trailers. The 5/0 O'shaughnessy VMC hook seemed small to me but I think it's how the hook sits in the body. It has a slight down turn to it which I found really locks down on the fish. I thought I would miss some fish but thus far I've been 10/10 on fish on it. The skirt is wired tied. I thought it was a bit thin with the under strands trimmed, but you can flare it on the retrieve easily with a slight stutter or pause and now I'm thinking that's why it was made that way so it could breath and pulse easier with the vibration from the blade and thinner wire. 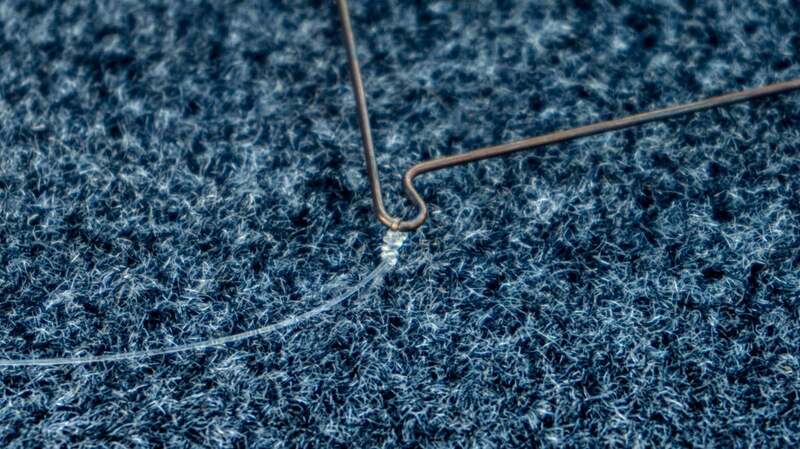 The in-turned R-bend on the wire arm holds your knot in place well. I didn't have any issues with my knot moving in the bend or wrapping as sometimes can be the case casting in the wind. 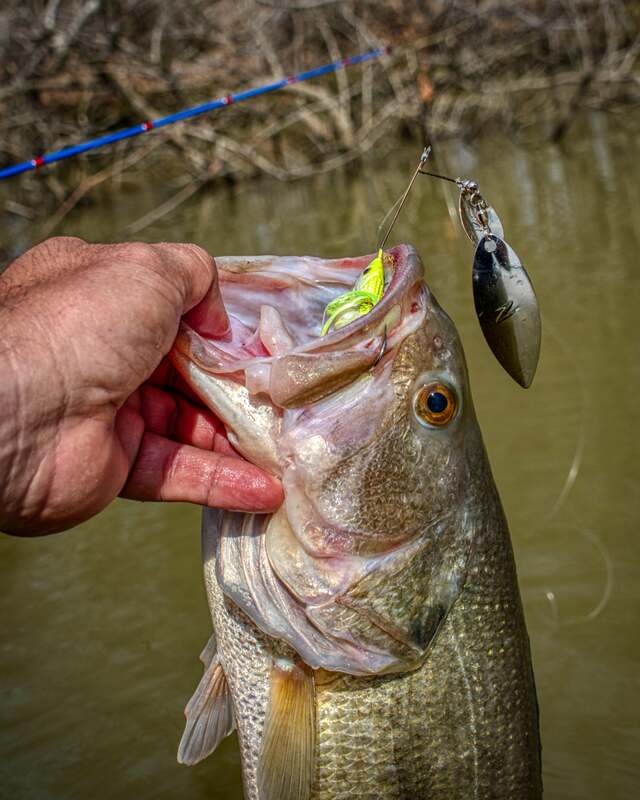 The little gut turn on the R-bend also allows you to easily add a skirt collar there to hold your knot snug if you prefer as some spinnerbait anglers will do. I caught a handful of good ones the past few weeks on a very stingy Kentucky Lake. I've had about 10 fish on the SlingBladeZ now and have been impressed with how it fishes thus far. I'm looking forward to slinging the 3/4 more around when the fish move offshore in the post spawn, but for now the 1/2 ounce is a producer. I'm hoping for some rain now to dirty the water up one more time as the lake comes back up to have a few more fun catches on this spinnerbait.